The Sunshine Blogger Award; Part 3! Rules are to tweak; Take it easy. 1. What is that question you hate to answer the most? I’m a semi-lazy person (really just a regular old lazy one, but “lazy” just sounds too self-depreciating), so questions that take a considerable amount of thought and emotion, and force me to deny my innermost desires and attributes are the hardest for me to face. Really, they’re like unforgiving torture. 2. What’s the most horrible a.k.a. “It tasted delicious in my head” recipe you came up with? If you don’t cook, what’s the most gross thing you ever ate? Here’s mine! I then tried so, sooo many things to get it to taste better, but then everything I did just made it worse, and worse. It was like something out of a horror movie. Seriously. Even writing about it is giving me chills. 3. Chicken or bacon? Explain gravitational waves. Don’t google; I’ll know. Hahaha, this is easy. You know every time you set a firm food limit in your head, telling yourself “just one more” or “only on special occasions”, but then flash forward a few hours days and you’re stuffing your face, wondering where your resolve went? It’s gravitational waves my friends. That food is sending out waves that act like “eat-me! !” command magnets to your stomach, forcing it down your throat and into your stomach before you even know what happened. It pulls you in like gravity. It’s especially worse around foods like chicken and bacon, but applies to any of your guilty pleasures. 4. When was the last time you helped-out a stranger? Or anyone? I was thinking teleportation at first, all those countries I want to visit could be done in one day without the ridiculous cost! But then I figured one day for all those countries wouldn’t be nearly enough. Plus that’s something I could actually accomplish someday with my own human powers. So I’m so going with shape shifting!! It would be beyond awesome to be a bird/whale/wolf/mouse/bear/okayI’llstopnow. I mean how cool would be to experience the world through their eyes/senses? Sadness, I only wish I was bilingual, but I’m pretty sure the pitiful amount of French, and so-minuscule-I-might-as-well-not-even-bother-to-acknowledge-it Japanese don’t count. But I do think in a wide variety of English accents. That counts for something right? Right? 7. The funniest thing you’ve seen someone do in public? My sister’s slip and fall on ice…sorry, I blame the sadist in me. 8. Have you won any contests/competitions/olympics maybe? 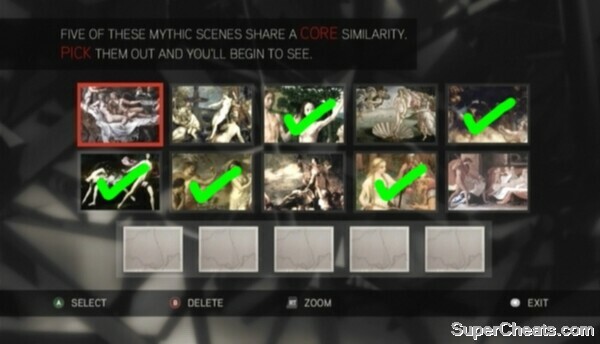 Which was the last one? ….umm….well…these blogger awards count, right? What about anime watching/book reading awards? Do those count? Cause if they do I am on a roll! 9. What’s the most useless (according to others) talent/s you have? English accent impersonations. 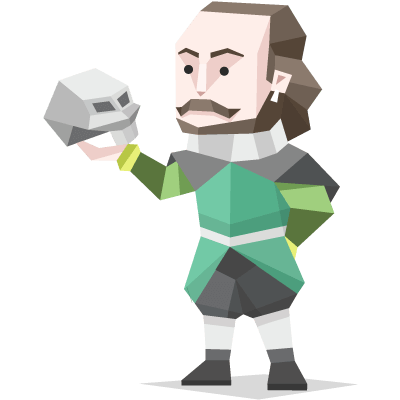 I can’t impersonate actual people, but can do almost every type of English accent there is. 10. What’s the best Wi-Fi name you’ve seen? Uggh! So much thinking! Umm…well….if we’re talking activities that’s a lost cause lol, but food? 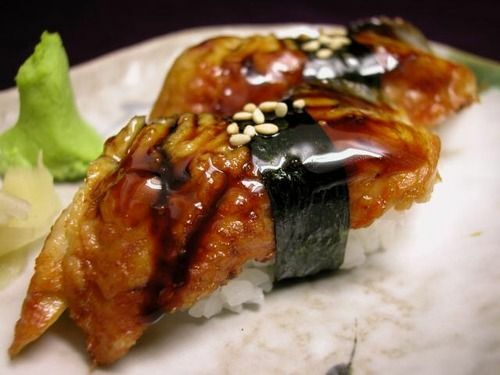 I’ve recently been trying out authentic Japanese cuisine (just finished with Indian). 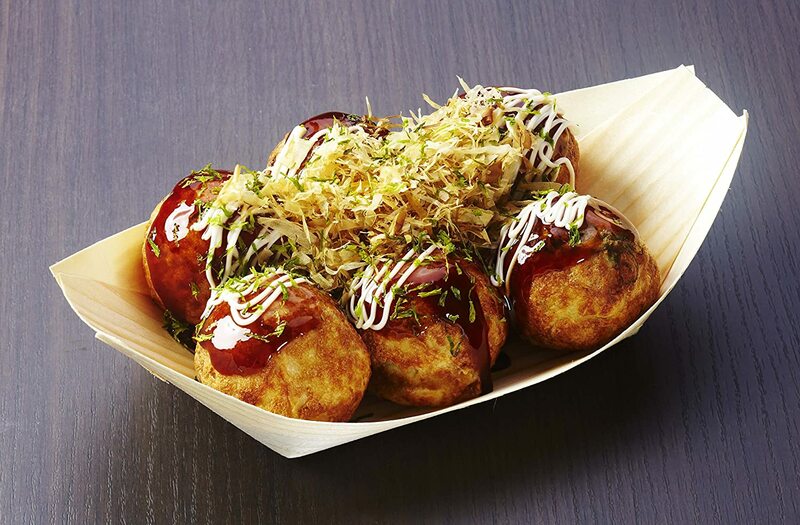 I’ve tried Salmon Teppanyaki (loved it), Inari & Unagi sushi (mega loved them), and Takoyaki (sorry, but I hated the taste/smell…also just can’t do those little suction cups). Next up is the terrifying looking Natto. Then I’ll be moving on to another nation. Please check these bloggers out if you haven’t already. I couldn’t pick everyone that deserves it, but these are some of the best blogs I’ve come across! Also, I know most of you have done this award at some point, so if you’re one of those people, seriously, no pressure. Please just consider it a honourable mention if you’re not up for doing it again. I just really wanted to give you a shout out. Thanks for reading! Who is your favorite side/supporting character? Which fictional character would you want to have as a mentor? Which fictional magic system do you wish you could be a part of? If you could speak another language what would it be and why? Name your favourite hobby outside of reading/watching anime. When did you start it? What is the best story you’ve read/watched so far this year? What story are you most looking forward to this year? What is your favourite dessert of all time? What is a book/anime/movie/game that you wish everyone would read/watch/play at least once? ~ Thank the blogger who nominated you and provide a link to their post. ~ Answer the 11 questions they asked you. ~ Come up with your own set of questions. ~ Tag your chosen 11 bloggers and don’t forget to tell them as well! 1) What are your favourite book to movie conversions? This is a pretty hard one for me, since I usually dislike movie adaptations. I’m pretty sure the one I every really liked was The Hunger Games movie adaptations. 2) What genre of books are you hoping to read more of in 2018? Fantasy and some non-fiction. Fantasy because I have so many unread ones on my shelves, and non-fiction because I almost never read any. 3) What is your favourite blog post (by a blogger other than yourself) that you’ve seen in the last 2 weeks? In truth, I’ve actually come across quite a few amazing posts, lists, and reviews. But if I narrow it down to one, I’d have to go with “The Beating Heart of a Creative” by Kimchi-sama. I only just came across the post, but it was such a powerful one, with words and a message that I really needed to hear that I needed to share it here and ask you guys to please stop by and spend some time to read it. 4) What is your most anticipated release for the remainder of 2018? Favourite fictional couple from a book you recently finished? LOVE THIS BOOK TO PIECES!! I’m not giving names, but that couple was PERFECTION!! I cannot tell you the joy it brought me to have finally caught up with collecting this series, and be able to finally start reading them! Where and when (place & time of day) do you most like to read and/or blog? Reading: 24/7. Lol, but seriously. There is no time/place I won’t try to get away with reading. I’ll even read while walking on the street. Blogging: Usually during commutes or once I’m home at night. Favourite bookish setting that you would most like to visit? Both places have their own share of dangers, but would be SOO amazing to visit in real life. Especially all those exotic creatures! 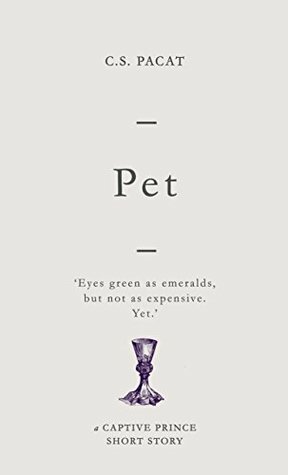 Favourite non-human character from any book you’ve read? What was a book that you didn’t like as much as you were expecting to? How do you track the books that you read (if at all)? And finally, one fact that not many people know about you? …umm…a family member and I recently built a new bookshelf for my overflowing books! Yeah! Of course…I already need another one, lol. I’ve known my current friends for many, many years so there isn’t anything I can think of that they don’t already know…so I guess I just went with something I haven’t mentioned on my blog yet. Kiss, marry, kill. Which character (book/movie/manga/game/etc.) would you want to Kiss, Marry, or Kill? Do you still remember your favourite childhood book/TV show? If so what is it? What are some of your favourite characters? Is there a TV show/movie release you’re really looking forward to this year? Do you have any hobbies other than reading? Have any hated/really disliked character(s)? Name your most despised book/manga/graphic novel/show/etc. character(s). What was the last book/manga/graphic novel you read (or anime/show/movie watched) that turned out to be unexpectedly better than you had anticipated? Which book/anime/manga/show has recently made the most impact on you? THANK YOU SO MUCH! I was tagged to do The TBR Tag by James J. Cudney at the This Is My Truth Now Blog! If you haven’t gotten a chance to read their post for this tag, you can read it here. Welllll…..I don’t really have a traditional TBR, I think the method that I use most often would be Goodreads’ “Want To Read” shelf, but that honestly isn’t very accurate. Because I don’t reference that list of books very often. A lot of the things I want to read I just “remember” that I’d like to read them in the future. I have all those years of pre-Goodreads reading and TBRs to thank for that lol. My TBR is mostly print books as that is my preferred method of reading books. from your TBR to read next? I’m very much a mood reader. So, I don’t have a system for picking which TBR book I’d like to read next. I don’t utilize a TBR in the typical sense….I just happen to have a bunch of books that I own or that I’ve heard of that I would like to read. But I don’t allow those books to dictate what I will read next or in the next few years. I leave my reading options very open. A book that’s been on your TBR the longest. The first book I ever shelved as “Want to Read” on Goodreads is Divided (Darkest Powers #1.5). 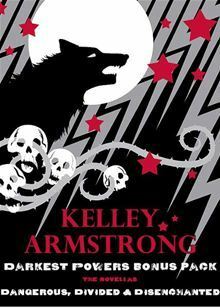 Divided is a novella from the Darkest Powers Trilogy by Kelley Armstrong. 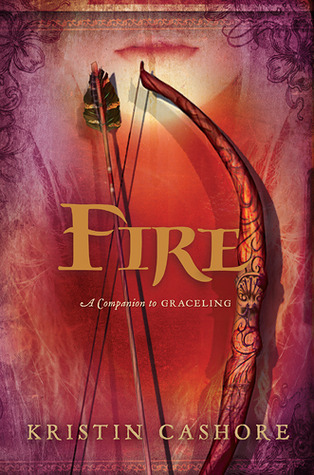 A book that you recently added to your TBR. 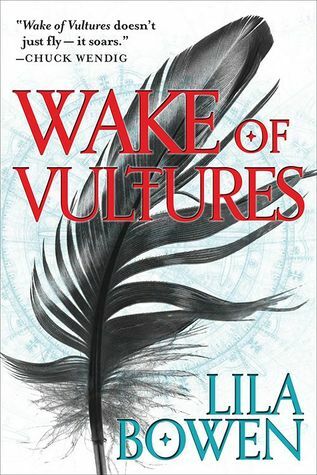 The most recent addition to my TBR on Goodreads is Wake of Vultures (The Shadow #1) . 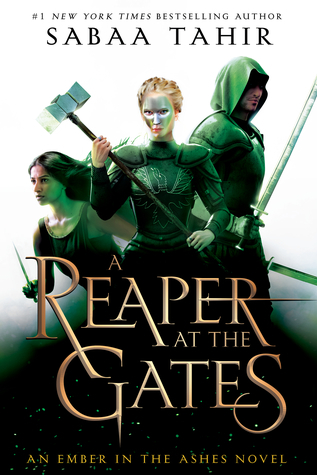 I’m excited to get around to reading this series next year as the third and final (as far as I know) book was published this year. because of its beautiful cover. 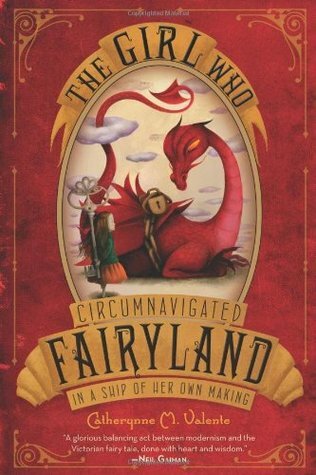 The Girl Who Circumnavigated Fairyland in a Ship of Her Own Making and the entire Fairyland series as a whole. Unfortunately, I’ve come to realize that I’ll probably never read these books and I recently unhauled them and a few days later put them back on my shelves because they’re too beautiful to part with. So, clearly these books are sticking around for merely their aesthetic merit. NEVER plan on actually reading. 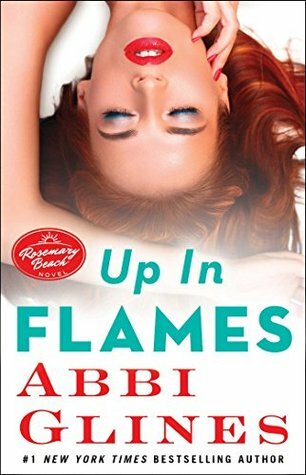 Okay, so I have a love/hate relationship with Abbi Glines’ books and I pretty much hate read her Rosemary Beach series. Since, putting myself through that torturous experience I have gotten a lot better with my “need” to complete a series, regardless of whether I am enjoying it or not. So, the book that is currently shelved as “Want to Read” on Goodreads that I’ll NEVER read is Up in Flames (Rosemary Beach #13). TBR that you’re excited for. everyone has read except you. A book on your TBR that everyone recommends to you. A book on your TBR that you’re just dying to read. The number of books on your Goodreads TBR shelf. Okay, this number is so ridiculous that I feel an obligation to preface the “big reveal” with an explanation. So, a few months back I got the brilliant idea to scan into Goodreads all the books I owned. I have been wanting to add all the books I own to Goodreads ever since I joined. I have always wanted to have somewhere where I could keep track of the books I own and very easily be able to reference the exact number. Well, little did I realize, until I was over three quarters of the way through scanning all the books with my phone, that Goodreads automatically shelves all the books you’ve scanned into your “Want To Read” Shelf…so yeah we ended up with this number: 1045, as of today. Also, anyone who would like to do this Tag, but hasn’t been officially tagged yet….go for it! Hey everyone! I’d first like to wish everyone a very belated Happy Holidays, and an early Merry Christmas and Happy New Year! I’d like to give a big thanks to Ryuji @ ryujisanimereview for nominating me for this award. Please take some time to head over to his blog and check it out! Thank the blogger who nominated you and post the link to their blog. I don’t play many games, but when I do I’m always stuck between choosing assassin and mage (but assassin almost always wins out in the end). 2) Do you prefer continuing the main story or check out most of the subplots in a RPG/Fantasy Visual Novel? I always continue the main story the first time around, then go back and check out the subplots later. 3) Have you ever played or watched a playthrough of anyone attempting to complete a RPG/Fantasy Visual Novel? Yup. There was a level I just could NOT figure out. It was driving me insane so, despite being super determined not to ever do it, I looked it up. It sort of felt like cheating, but after FINALLY passing the level the overall victory won out over my guilt. Yay me! 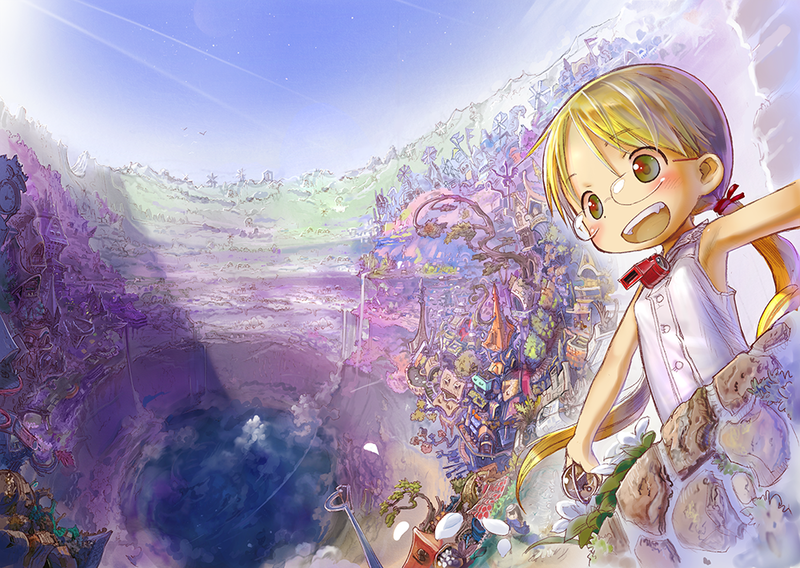 Which book, movie, anime, or game did you most want to get to this year, but didn’t? What book, anime, movie, or game are you most looking forward to next year? I’d like to thank meltingpotsandothercalamities for this tag. Picking just one was hard, as usual, lol, but I had fun doing this. Check out her blog for book, webtoon, and anime reviews, as well as some original lists & recommendations! This tag was created by Jen Campbell. Pick ten books from your shelves that you associate with a specific time and place in your life. Tell us the story behind your choices and what the books are about. First “big girl/boy” book I remember reading. There were about animals, specifically horses, which I loved, and I remember being quite proud of myself for getting through the series without help. Synopsis: A somewhat historical story in setting that surrounds the life of two young children, a wild pony, and her foul on Chincoteague Island. First series I remember stalking the the release dates for. This was sometime in upper elementary school, when the school library was my go to place for books. Looking back, I now feel sorry for that librarian. This was also the first long running fiction series I ever really got into. It turned out to be a story with much darker elements than expected, which, of course, is part of what made me love it so much. My excitement for the 2010 movie adaptation was probably excessive. 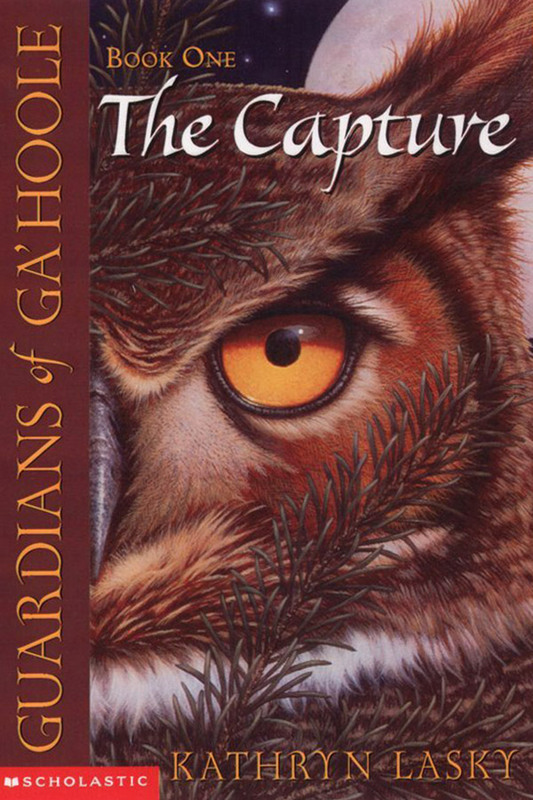 Synopsis: Surrounds the life of a barn owl after being kidnapped from his nest by a dark organization who call themselves “The Pure Ones” (can you see where this is going?). Despite the captivity, main character Soren manages to hold to the hope in the stories his parents told of heroes, and works to resist their brainwashing and escape with a new friend. First popular teen series I ever read. I didn’t even know popular teen fiction was really a thing until someone recommended it to me. 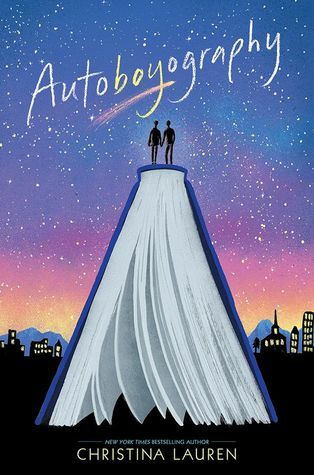 Not the best book for obvious reasons, but it is what got me out of my years long reading slump and into the world of YA. Synopsis: Is this even necessary at this point? Emo vampires. Ordinary human girl. Unsettling romance. Nuff said. This was the first fictional philosophical read I remember picking up. It was also the first animal centered read I went to after popular fiction got me back into reading. 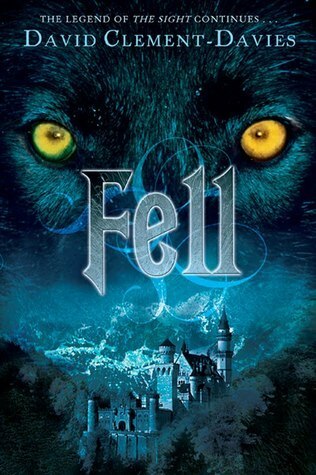 Technically Fell is the sequel to The Sight, but I unknowingly read them out of order, and fell in love with this one more. Naturally the synopsis would be a bit of a spoiler so I can’t give any specifics, but I can say it’s about a wolf and young girl, both outcasts, form an unlikely friendship. And that it was as they travelled together towards a shared destiny, each struggling to find the meaning of their lives and their place in it, that I excitedly whipped out my “book quotes” notebook. First Adult Urban Fantasy I ever read. I got into them after reading her YA The Darkest Powers series. Though I’m 99% sure I wasn’t quite old enough for that genre at the time, it started my long standing enjoyment of adult urban fantasy. Synopsis: Starts off pretty normal: normal female werewolf and normal ignorant human bf, equalled a “normal” level of problematic relationship in Toronto. Till her old pack comes calling, mysterious murders happen, psychopaths run wild, humans grow suspicious…it all gets fascinatingly hectic. This is one of a few very memorable reads from the time in high school where I finally got a spot as a library assistant. 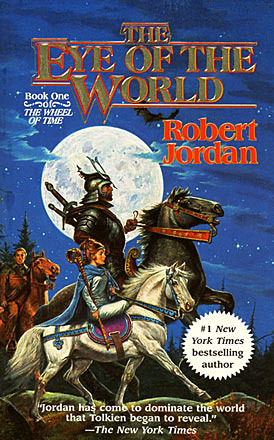 I was encouraged to read a wide range of books, and I think this was my first Diverse fantasy read. 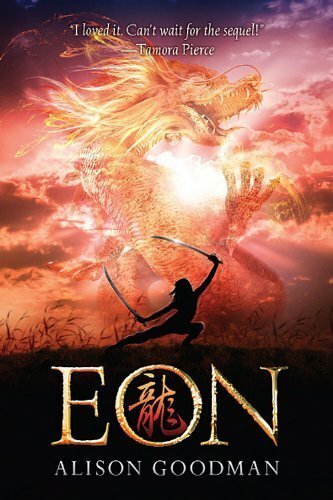 Synopsis: Set in an Asian modelled fantasy world, 12 year old Eon, despite facing ridicule as “a cripple”, endured gruelling training for years in hopes of being chosen as an apprentice- a Dragoneye- to one of 12 dragons. And his hard work pays off. Which is all well and good, except Eon is actually a 16 year old girl, and girls are strictly forbidden from becoming a Dragoneye…like “we’ll lop off your head!” type of forbidden. First graphic novel I ever read (about the same time as Eon). Aside from Archie comics and comic strips in newspapers I had never actually tried reading a graphic novel before. Even though I loved DC comic movie adaptations, I always preferred reading novels. But one day I finally decided to give one a try. 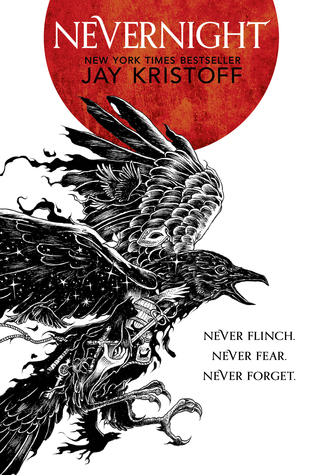 Synopsis: A middle-grade series about a kid who finds himself, accidentally, in the world of spirits facing understandable levels of terror, and a tyrannical king. 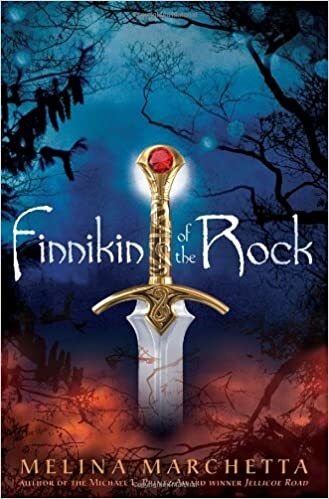 There might have been one before this, but this wonderful series happened around the time book to movie adaptations were blowing up in theatres. This is the first (during this time that is) I remember watching the movie for before hearing about the books. Which made me one of the very few that didn’t despise the movie…till I read the series, watched the atrocity that is the second movie, and re-watched the first. Synopsis: Another I don’t think needs saying, but just in case: young boy struggling to deal with a dysfunctional family and learning disability meets attempted assassination by mythological creature. Truths are unveiled. More assassination attempts. And a great mystery/action/fantasy filled adventure ensues. First comic series I really fell in love with (2015). 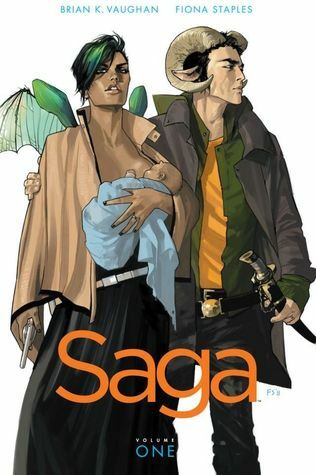 While Ghostopolis is the first comic/graphic novel I ever read, Saga was the first that actually made me want to read more. 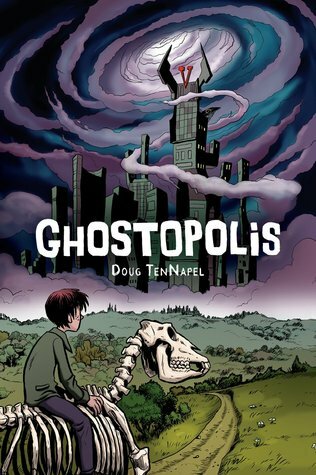 Don’t get me wrong, I enjoyed Ghostopolis, but unlike Saga, it didn’t make me think: “what is this!? I need more like it in my life!” It was this that officially jump-started my Image Comics binge session. It’s also the first graphic novel series I started collecting. Saga Synopsis: Two opposing races in the middle of a galactic war find themselves falling for each other Romeo and Juliet style…just with a ton of crude language, attitude, fantasy, and advanced tech, and minus the mutual suicide and everything Renaissance. Once their relationship takes off, and becomes known to both sides of the war, the two lovers find themselves desperately protecting the lives of their less than orthodox family. First shounen (YA for males) manga I fell in love with and started collecting. 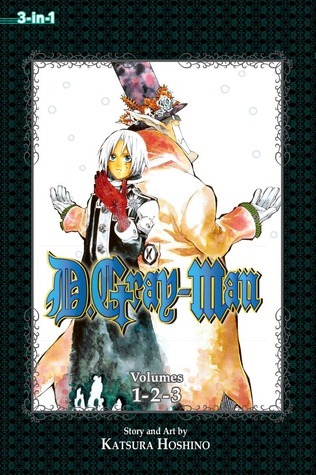 I actually didn’t start reading manga till a couple years ago (I wouldn’t touch it before), but my then newfound anime watching slowly changed my mind. The first couple manga series I picked up were…meh, but this one and Skip Beat! by Yoshiki Nakamura (the covers do NOT do the series justice) are the two that not only really got me interested in reading manga as a whole, but in starting my own collection. Synopsis: Way darker than I expected. Ever had a love one you wanted to see back from the dead? Well in alternative late 19th century London it’s made possible by a man called The Millennium Earl. Which would seem like a good thing, if they didn’t come back as Akuma- a living weapon fuelled by human souls, and used by the Earl to wipe out mankind. Allen Walker, bearing the curse of an Akuma yet determined to save them, is just one of many Exorcists chosen (no consent needed) by the only substance capable of stopping Akuma and opposing the Earl. I want to extend a very big thank you to the Orang-utan Librarian blog for tagging me to do the Totally Should’ve Book Tag. I am so excited to do this tag. A while back I had a phase where I binge watched way too many Totally Should’ve Book Tag videos on BookTube. Truth be told I binge watch too many of any type of BookTube video way too often lol. You’d expect me to have given some deep, intense consideration for what my answers would be…but, leave it to me to have had the hardest time deciding which books/series I wanted to select for each of these questions. The issue was narrowing it down to just one…typical me! Please be sure to check out the Orang-utan Librarian blog’s post for the Totally Should’ve Book Tag! I totally should’ve been able to read more about Tanner and Sebastian! I am absolutely devastated at the way that book ended. I just need to see how those two characters grow and develop. It would be great to have a sequel and get to live with the characters for a while longer. You know when a series is winding down, and the author decides to introduce a new (to the reader) plot point, or piece of back story/information that leaves the reader wanting more. Well, Laini Taylor did this wickedness to me lol. Although I adore this series, immediately after finishing the final installment I thought that it totally should’ve had a spin-off series. I distinctly remember bring more than three quarters into Dreams of Gods and Monsters and knowing that without a doubt the story was going to end in a way that would leave me wanting to know what happens in this world after the conclusion. That ending though! The story ends and then there’s this random snippet that leaves you wondering what in the hell is going on. This manga series totally should’ve ended differently. It was wrapped up (..ish) and then just vagueness for the actual end of the series. First of all, this series totally should’ve been more popular and widely known. 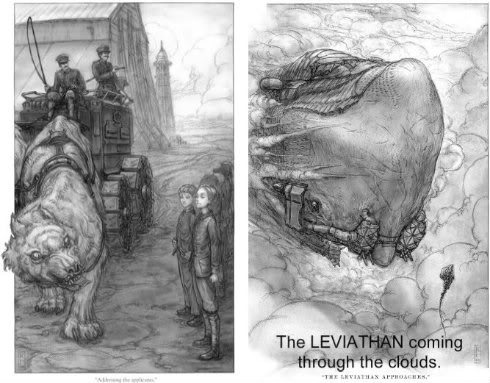 Maybe then we would have been lucky enough to have had any form of an adaptation for these novels. This series totally should’ve gotten a television adaptation because the overall story arc is intriguing. Each individual novel is strong enough to stand on it’s own. 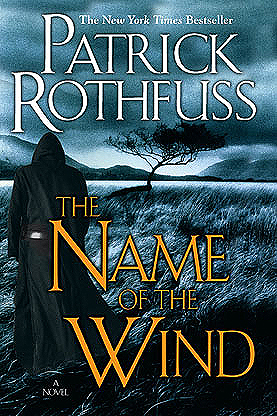 It’s one of the very few series that does not suffer from ‘unnecessary trilogy/second book is purely filler’ syndrome. I originally had the answers to this question and the next in reverse, but as I began filling out my explanations for each choice I realized that the depth of these novels would have been done a great disservice if they were attempted to be adapted into hour and a half to two hour film adaptations. Although I switched this answer with the previous one, I strongly believe that this trilogy has the potential to become an amazing t.v. series. Of the two trilogies though, these books would have a greater chance of having a more faithful film adaptation that would be able to grasp the scope and depth of the story in 3-4 movies. The Half Bad trilogy totally should’ve gotten a film franchise because the overall story is raw, real, unflinching, and uncomfortable at times. I wish more young adult books and series would have storylines that actually make sense and match the world they are set in. Stories where not everything is perfect, the main protagonist is unlikeable at times, people get hurt and die. Series’ where the conclusion reflects the severity of the world and the consequences match the severity of the environment the story is set in. Technically, this book totally should’ve had no point of views a.k.a. it totally should’ve never existed. Just saying! You know how we as readers sometimes b**ch about the covers of books. Funny how that works…because when I actually had to think of one for this tag, I couldn’t come up with any. And I know I have at least a dozen covers I wish could be changed. So….on that note….here’s a rather far fetched pick for this question. I have too much sentimental attachment to these covers and would never actually want them changed. In all honesty though, the covers for the Twilight series DO ABSOLUTELY NOTHING for the story. Really take a look at these covers…now if you hadn’t read Twilight, please try to imagine what you’d think these books were about based solely on the covers. Apparently I’m an idiot that is glutton for punishment. I read all of the first 13 books and got about 2/5 of the way through book 14 before DNF’ing that installment and the series as a whole. I totally should’ve stopped reading when the main protagonist’s motivations and actions didn’t seem to align with her character any longer. But the masochist in me kept trudging through the sewage that this series became before ultimately drowning in a shallow pool of disappointment and shape-shifter excrement. Although the original covers are quite ambiguous and do not necessarily seem all that enticing. They totally should’ve stuck with the initial design because it is still way better than…. 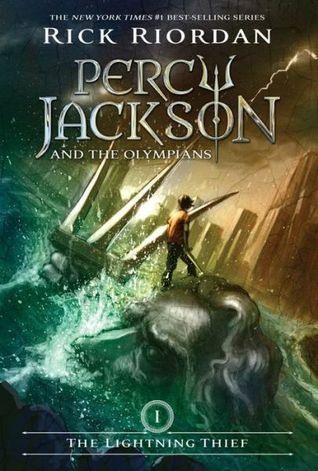 …ughhh and they also have people on the cover! WHYYYYY!?!? My soul has cried many tears because I somehow misplaced the original copies I read back in the day. So, I was *forced* to buy the new editions and I cringe every time I see them. Now that I know places like ThriftBooks exist, I may re-buy them in the future. You may be wondering why I chose to put three different covers/editions of The Song of Achilles on here. The simple, somewhat sad, truth is that I own all three of these editions. Safe to say I totally shouldn’t have pre-judged this novel. I wholeheartedly believed I would dislike this novel and avoided reading it for years. Let’s be honest here…my usual reading habits and preferences do not lend themselves well to epic poems. So, I believed that this book, which I had always heard marketed as a retelling of the Iliad, would be boring as all heck. I finally picked it up this past June and absolutely adored the novel. I have to thank Kate @ meltingpotsandothercalamities for tagging me for this interesting challenge. 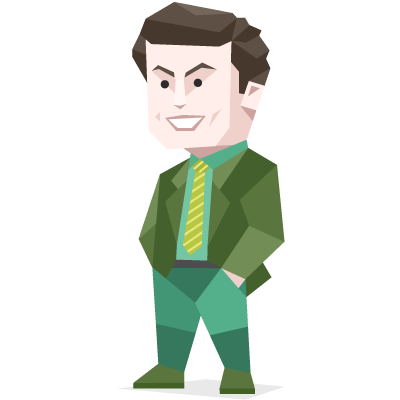 I’ve taken the test a couple times before and also end up with one of two personality results. It was cool to take it again ans see what I ended up with, so thanks! 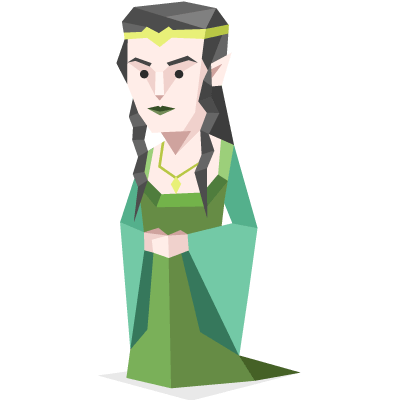 Check out her personality results and answers here. There are some sections I disagree with completely, but this part was too true lol. Only part I disagree with is disliking having my ideas and principles challenged. As long as the person isn’t intentionally rude about it, I usually enjoy the challenge and the new perspectives that come with it. 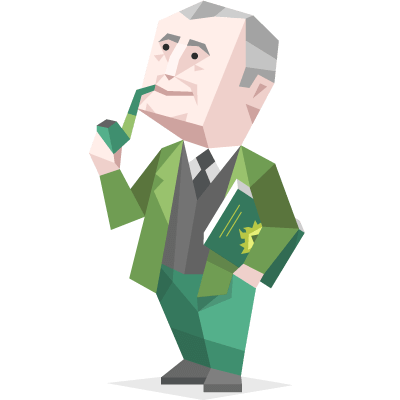 Do any authors share your personality type? 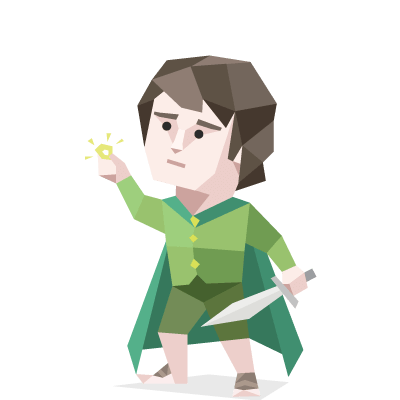 What fictional characters share your personality type? If you were a character in a book, what job would you have? According to the results, an author, translator, or something in “service careers such as massage therapy, physical rehabilitation, counselling, social work, psychology and even academic roles“. 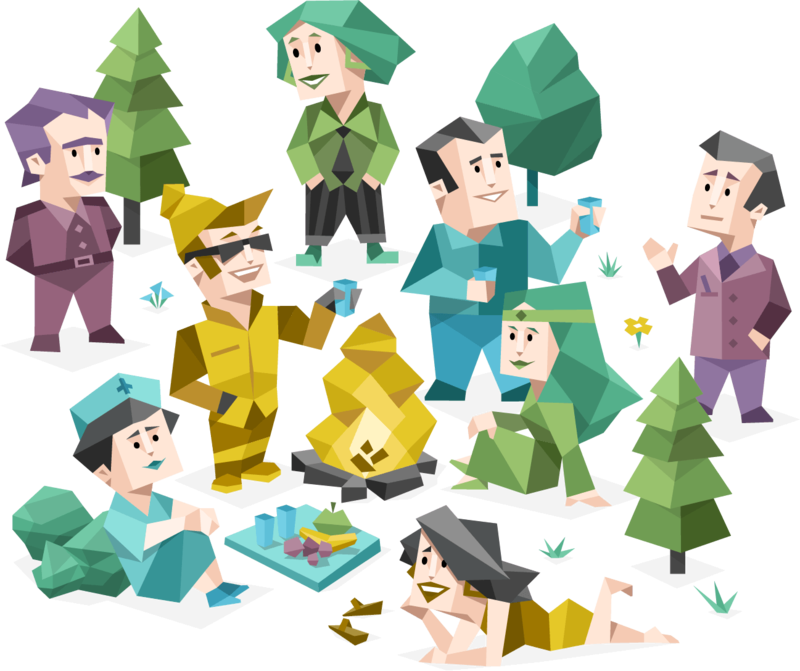 What personality type would complete your OTP? 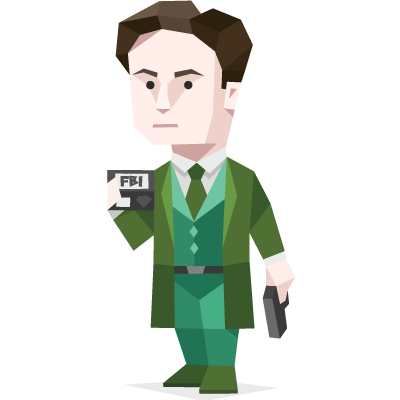 Not really sure…maybe my other personality test result? What are some fictional characters that would complete your OTP? Umm…this one is pretty hard…I have no idea lol.